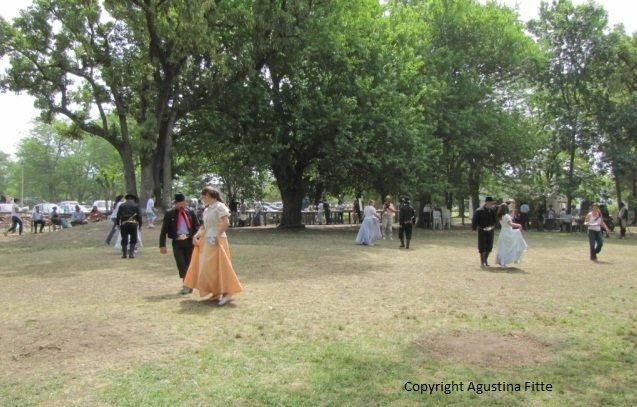 "San Antonio de Areco is a town in northern Buenos Aires Province, Argentina, and capital of the partido of San Antonio de Areco. 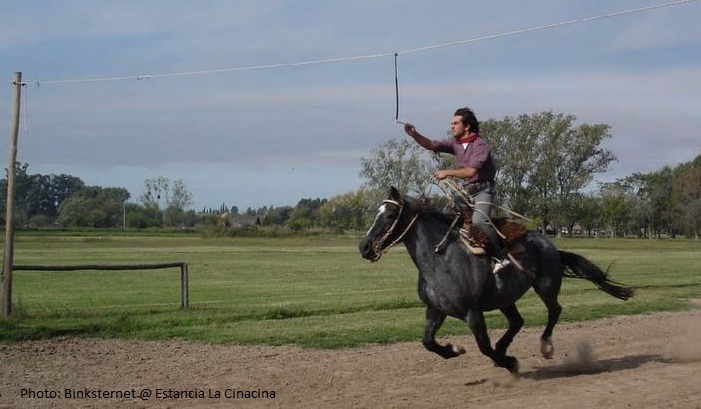 It is located on the Areco River 113 km (70 mi) away from the Buenos Aires city, the country's capital. 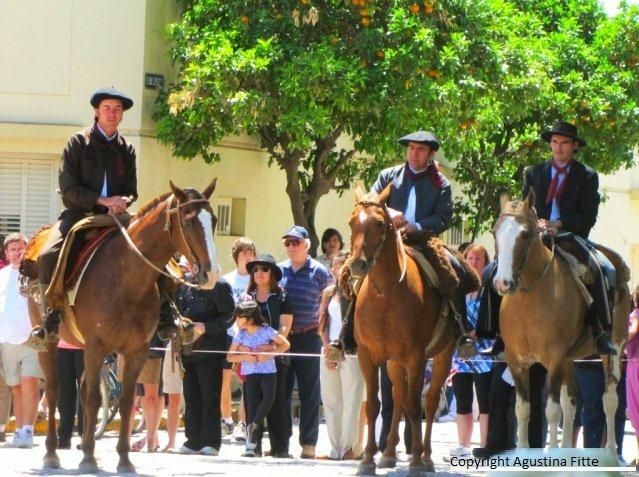 San Antonio de Areco was founded in 1730, under the protection of a chapel inaugurated by José Ruiz de Arellano. 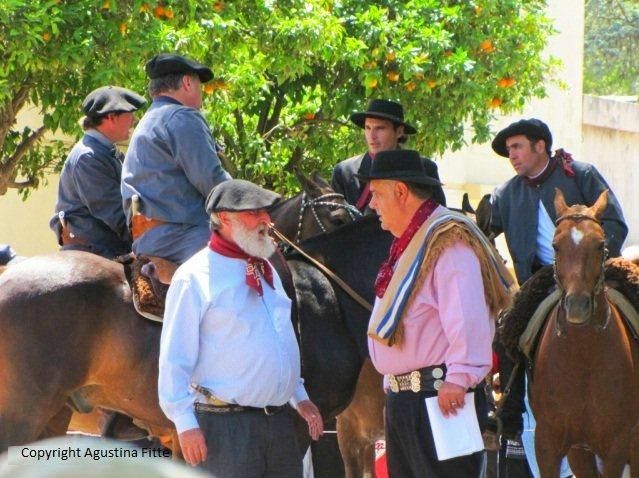 It has been declared city of historic national interest by the Argentine Government and is recognized for being the homeland of Don Segundo Sombra, the immortal character of the novel written by Ricardo Güiraldes. The city is the home of the Museo Gauchesco Ricardo Güiraldes. 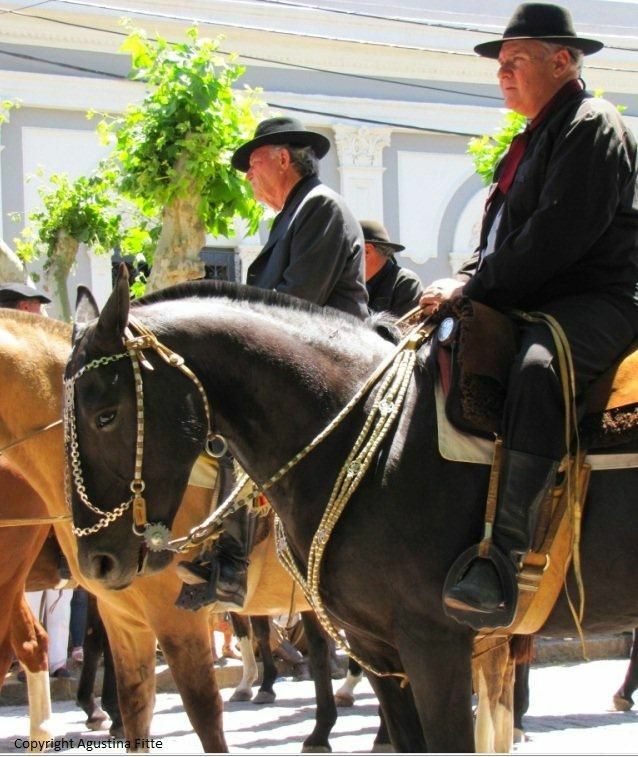 Each year in November, the city holds the Día de la Tradición (Tradition Day) gaucho celebration. Since 2001, San Antonio de Areco is sister city of Laredo, Texas in the United States. 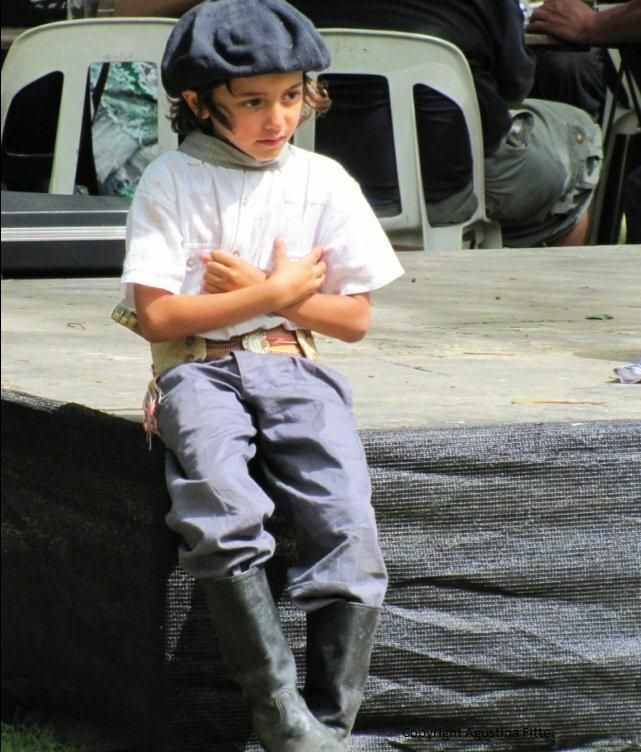 ..."
The pictures below were photographed and provided by Agustina Fitte. She is a lovely person. Bill and I met her in Buenos Aires while we were shopping for custom riding boots. She has provided these pictures and given permission to use on HorseHints.org. Thank you, Agustina, for your kindness. 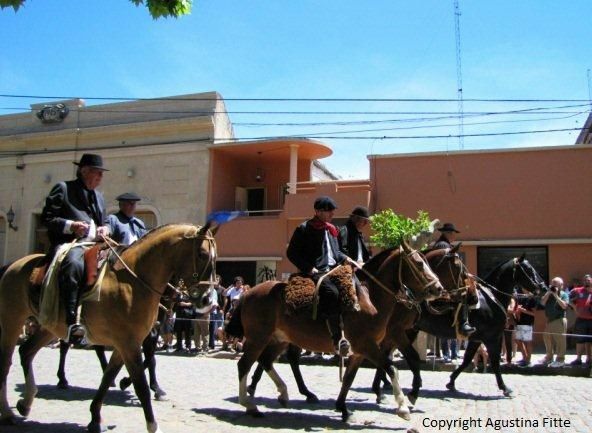 San Antonio de Areco city a place 120 kms north Buenos Aires city were our traditions are very well kept. This parade happens once a year for the city's anniversary. These pictures were taken 2011.